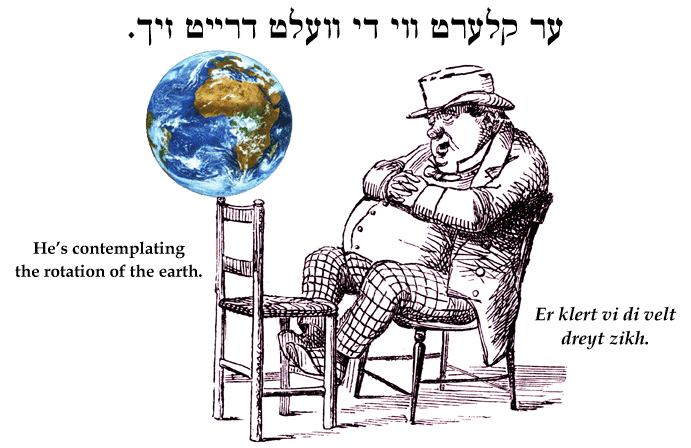 Yiddish Wit: He's contemplating the rotation of the earth. ער קלערט ווי די וועלט דרייט זיך. Er klert vi di velt dreyt zikh. He's contemplating the rotation of the earth.